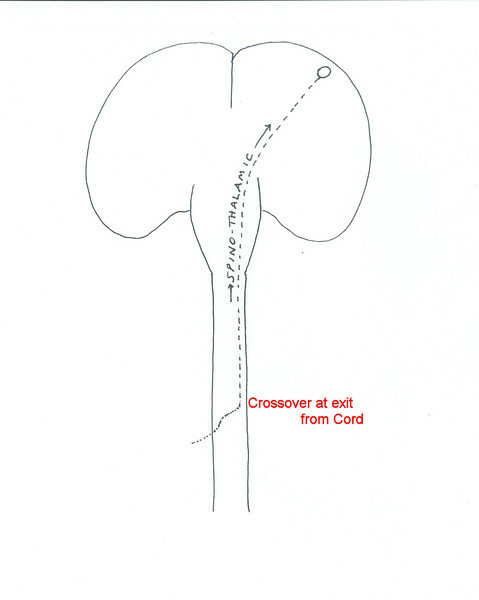 Injury to half the spinal cord, or “hemisection of the cord,” can occur with trauma, tumor, or disc herniation. But most often it is seen in textbooks and in med school exams! 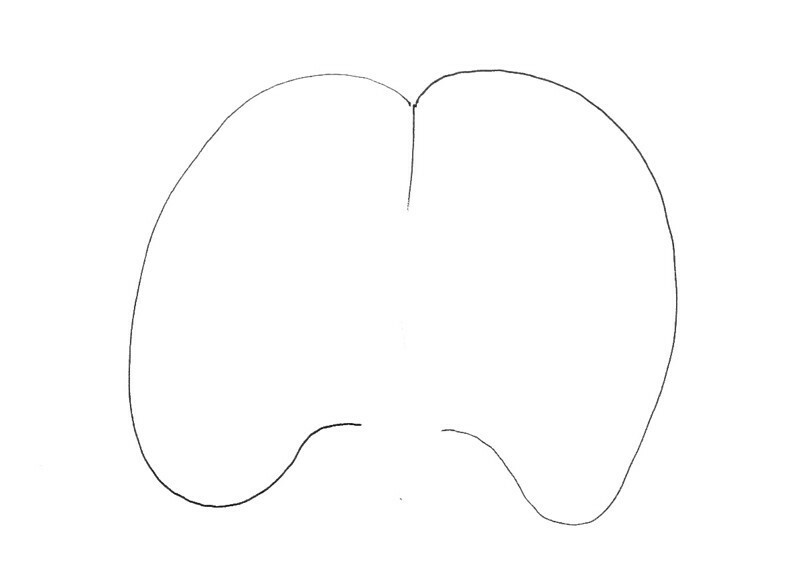 The injury produces a unique constellation of findings: loss of motor and fine touch on the same side as the injury, and loss of pain/temperature on the opposite side. This is the Brown-Sequard syndrome. First to orient you to the cartoons. We all know what this is. And now the brain with the brainstem and spinal cord. Of all the tracts in the spinal cord, there are really only three you need to know to get started. 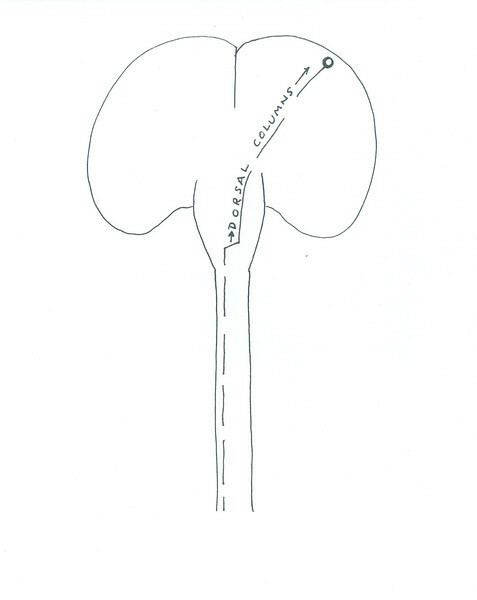 There is one efferent pathway, the corticospinal tract that carries motor signals from the brain to the body. 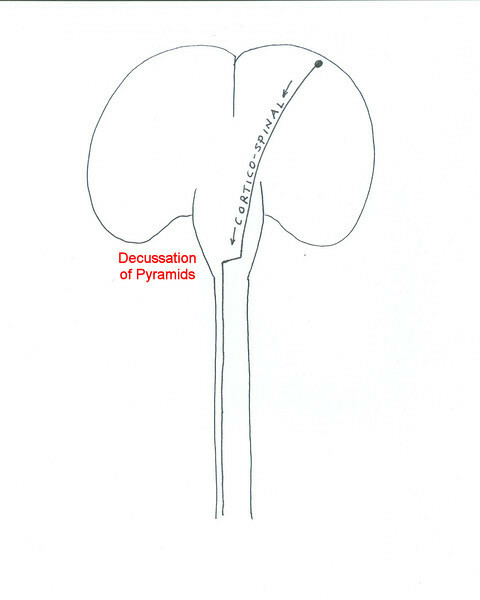 There are two afferent pathways that carry sensory information to the brain, the dorsal columns which carry proprioception and fine touch, and the spinothalamic tract which transmits pain and temperature. 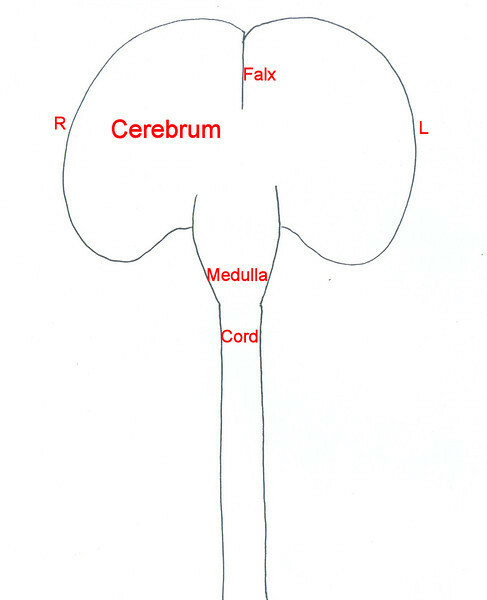 By contrast, the spinothalamic tract doesn’t cross to the opposite side until it exits from the cord. So what if you have an injury to the left side of the cord. What will be the expected clinical findings? What neuro deficits will result? 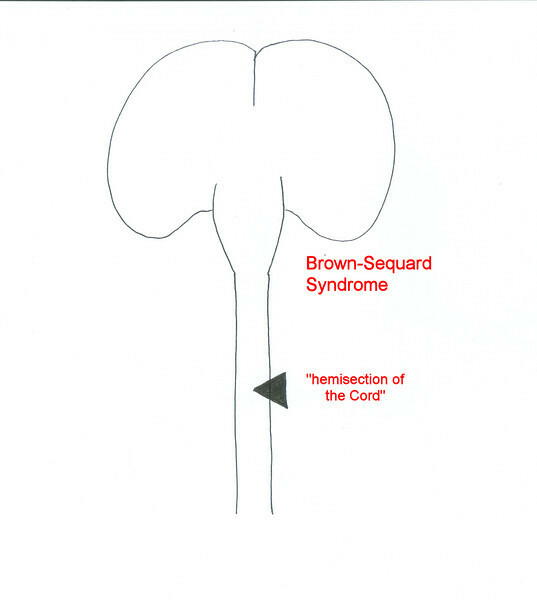 This is the Brown-Sequard syndrome. 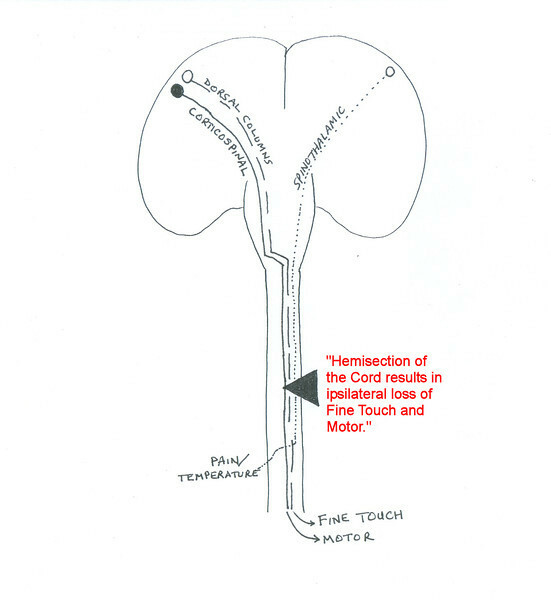 Loss of motor and fine touch ipsilateral to the lesion, and contralateral loss of pain and temperature.